Agency Power now has these CNC machined oil filler caps for your engine. The oil caps have the fashionable Agency Power look, engraved with our AP logo. Including a rubber gasket for a perfect seal. 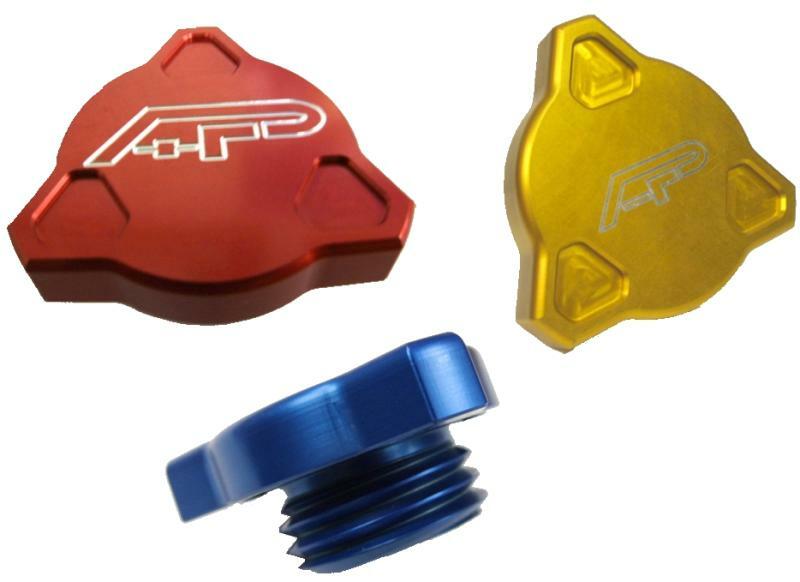 The oil caps are available in anodized blue, red and gold. The oil cap is a perfect accessory for your ride.